JNN 02 Sept 2014 Stockholm : A course on Shia studies will be included in the curriculum of the Historical and Contemporary Studies Department at the Theology Faculty of Sodertorn University in Stockholm, Sweden. According to IQNA’s branch in Europe, the inclusion of the course was proposed by the Iranian Cultural Center in Sweden. David Thurfjell, Swedish associate professor in religious studies and author of “Living Shi’ism”, will teach the course starting from the next semester. The course will be held in the form of a seminar in which the scholar will discuss historical, social and ideological aspects of the Shia culture. The Iranian Cultural Center in Stockholm also plans to invite the professor to present a lecture on December 11 at the 8th seminar of the center titled the “New Face of Shi’ism in Sweden”. Professor Thurfjell traveled to Iran twice last year and presented lectures in Tehran, the holy city of Qom, and Isfahan. 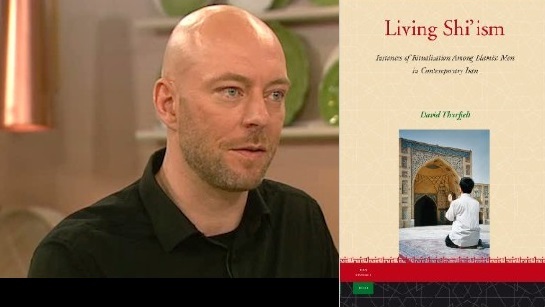 He has welcomed the idea to teach Shia studies as an academic course in his country. This entry was posted in Jafria and tagged David Thurfjell, Historical and Contemporary Studies Department, Stockholm, Sweden, Theology Faculty of Sodertorn University. Bookmark the permalink.